The Managed Service Provider Consortium (MSPC) is an organization of MSPs designed to empower MSPs to succeed in the marketplace. Share ideas and learn best practices from industry experts and fellow MSPs. Utilize complimentary RMM, PSA and QSA software solutions to manage your client base and eliminate expensive licensing fees. Leverage the buying power of the organization to receive preferred pricing on industry leading hardware and software solutions. And become part of a community that is dedicated to better serving the needs of its clients. 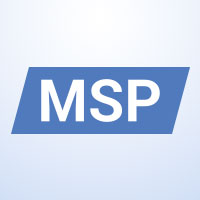 Members of the MSP Consortium will benefit from a free integrated platform comprising of a remote management and monitoring (RMM) tool, professional services automation (PSA) and quota system automation (QSA), all built by MSPs. Most importantly, members have a voice and will influence the development of future versions to suit their needs. MSP Consortium Membership has its rewards! Receive free tools and resources, marketing enablement and support, and savings on licensing costs.